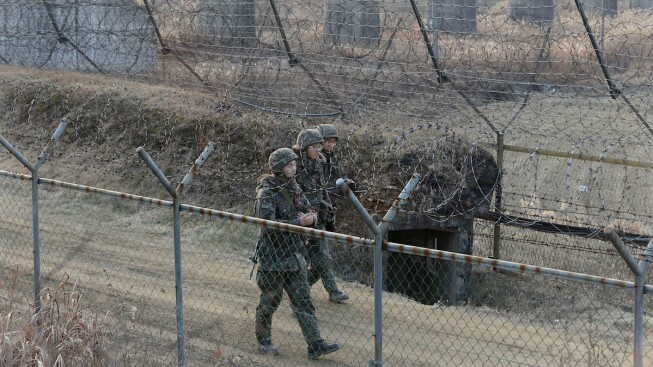 South Korean army soldiers patrol the barbed-wire fence in Paju, near the border with North Korea, South Korea, Wednesday, Jan. 6, 2016. CNN reports that a U.S. citizen has been detained by the North Korean government on suspicion of spying. The government of North Korea has detained a U.S. citizen on suspicion of spying, CNN reported Monday. It said a man identified as Kim Dong Chul was being held by the Pyongyang government and that authorities had accused him of engaging in spying and stealing state secrets. In an interview with a CNN correspondent, Kim said he had traveled extensively in recent years between China and North Korea and had made some trips to South Korea as well. A State Department official refused to confirm the story.